If you ask people in Malmö what factors were vital to create a city with an atmosphere that allows innovation to flourish, the answer is always the same: Political will. Building the bridge. Building the university. We will write more about the political side and the importance of the Öresund bridge in another blogpost, but in this post, we want to take a look at Malmö Högskola, the citys first and only university that was created in 1998. Some of the university’s focus areas are migration, sustainability, urban studies, new media and technology, making the Högskola an important player in the development of the city. 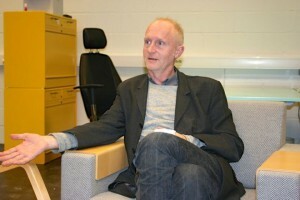 We met with Bo Reimer, Professor of Media and Communication Studies at the School of Arts and Communication, to learn more about the connections between the academic innovation sphere and the world outside of the university. Bo also is the founding director of the MEDEA Collaborative Media Initiative – a center conducting collaborative design and innovation studies in the fields of interaction design, media and communication. One of the main principles behind MEDEA as well as the communication department in general: It does not want to be hidden in a scientific ivory tower, but rather have an impact by collaborating with actors outside academia. An important distinction from other international academic design centers: Neither MEDEA nor the department are funded by the external actors they engage with. Students work together with companies and organizations as well as public institutions to solve problems in the community by social innovation, help develop smart solutions for the public sphere or improve services and products. “We have learned that interventions in public allow us to have more impact and also make for a much better learning experience for the students”, Bo explains. 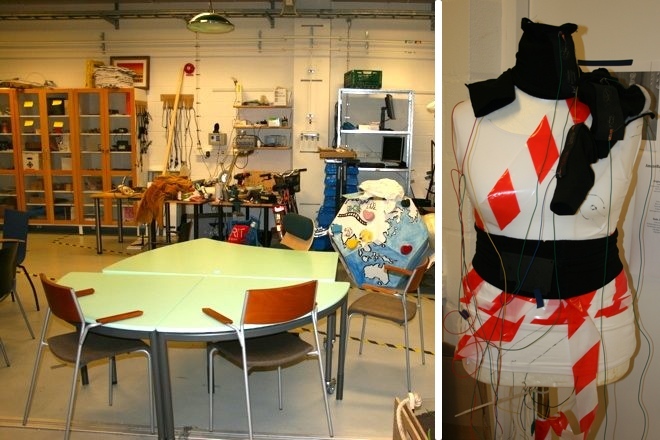 Researchers at the university often work with the so-called Living Lab approach, where everyday people take part in the design process. Students helped, for example, to enhance the quality of public transportation in the Skane region; explored how personal mobile devices can be used as user interfaces for energy efficiency in existing buildings; or worked with open data to target community needs. Michael Svedemar, Director of studies & Project Manager at Malmö University in the field of interaction design, explains their approach: “We focus on problem based learning”. Students in their first semester conduct interviews with alumni to learn more about the needs and challenges in the interaction design area. They then create a map with companies and agencies in the area and think about how this map should look like in the future. During the first year, students learn the skills necessary to create prototypes and toolkits, in their second year, companies are involved. 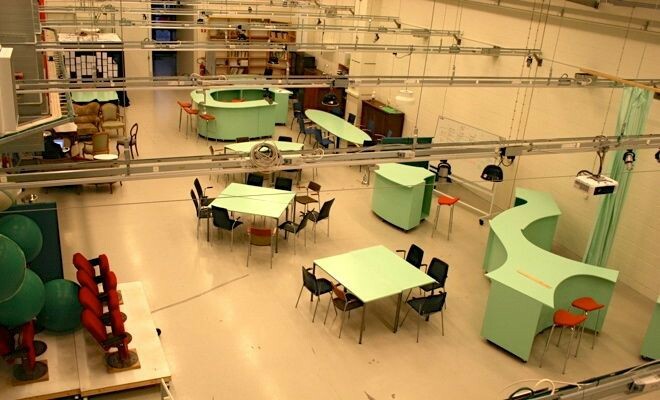 The physical space at the department reflects the hands-on approach: A large studio with flexible seating and moveable tables can be used for talks, events and as a maker space. “It took a while to convince the university that we need an ‘unconventional’ space for our research an testing”, Bo remembers. Industry feedback on the collaborative projects is good, as is Malmö University’s standing as one of the most advanced programs in interaction design. Still, when it comes to the media business, legacy media and publishers are rarely interested in teaming up. “Most projects are not with the big news dinosaurs, but rather with new players”, says Bo. i can’t wait to read more – this project is one of the hightlights of 2015. great idea! Great post, thank you. I’ve always been wondering why universities don’t play a much more vital role in the development of German cities. There might be many initiatives within the academic realm, but very rarely are they being directed towards actually changing a city. We are missing huge opportunities here. Instead of remaining inside the ivory tower, universities are supposed to be an important part of urban development and social change. The tools are all out there, and this is the very moment digital can become a new infrastructure: an operating system for academic citizenship.